Happy Monday S+S lovers! How was your weekend? Fabulous we hope. Our latest fancy is definitely abstract art. There is something about the lack of uniformity of brushstrokes and random hues that we beyond adore. It adds such interest and authenticity to any space. Let's look at some serious spaces. 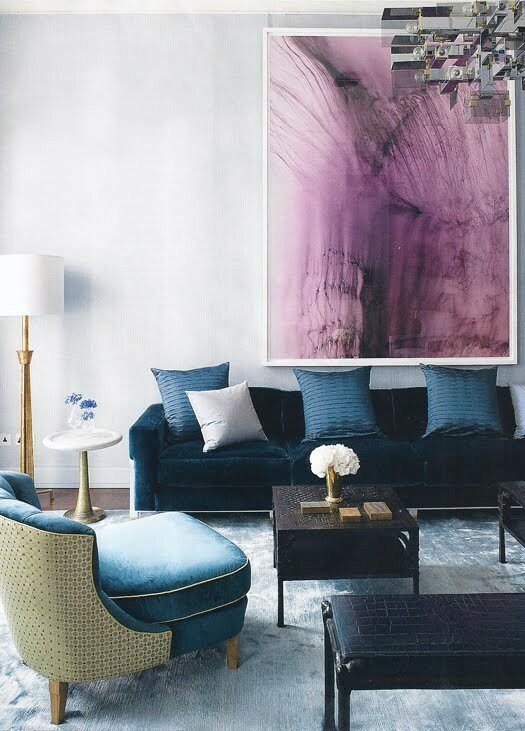 We love the color and statement abstract art brings to a room, clearly. 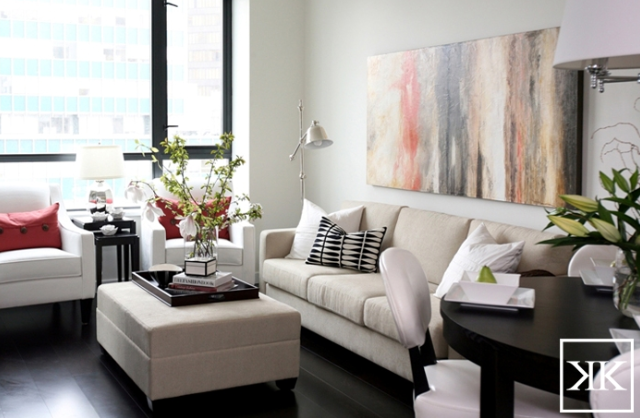 What is your most loved art for a space?? Do tell, we'd love to hear from you! It is dramatic and often can stand alone. 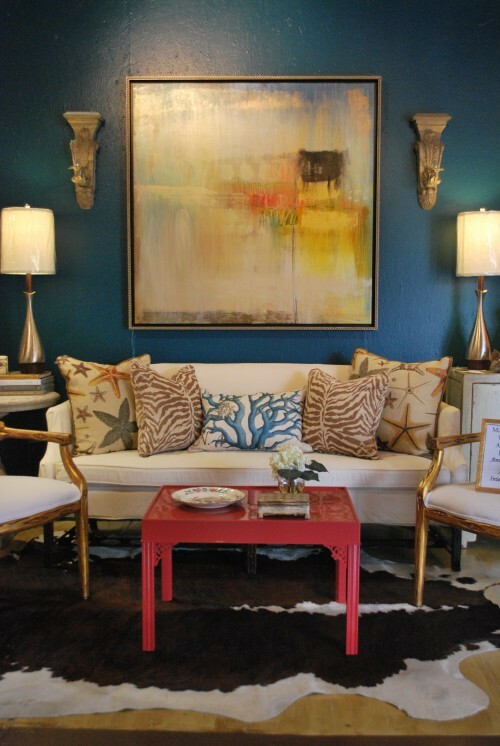 I have seen it used very successully and I like seeing it in a mixed room of mixed styles...makes for a very interseting and eclectic room...beautiful examples! I have recently begun to appreciate abstract art and have been stalking a few abstract landscape paintings on etsy. Nice inspiration! Love these pictures! Looks like I'm not the only one hunting for a great abstract on etsy. 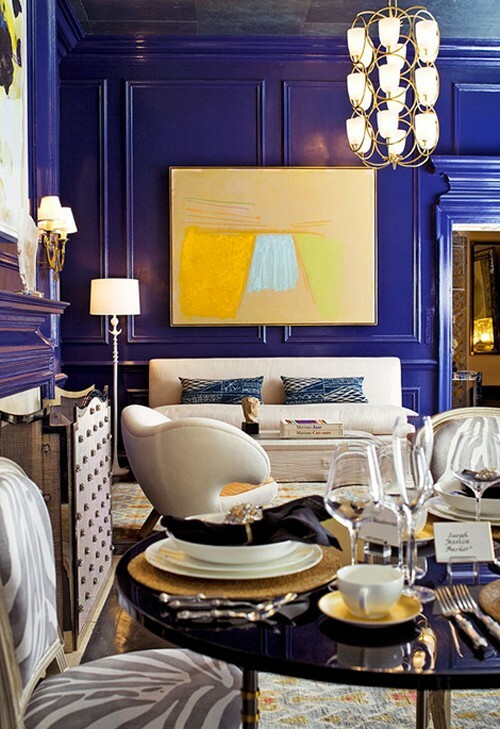 I'm loving the purple piece with all of that gorgeous navy furniture.... great post! I am in total agreement with the use of Abstract Art..what a smashing accent and sometimes a total surprise! 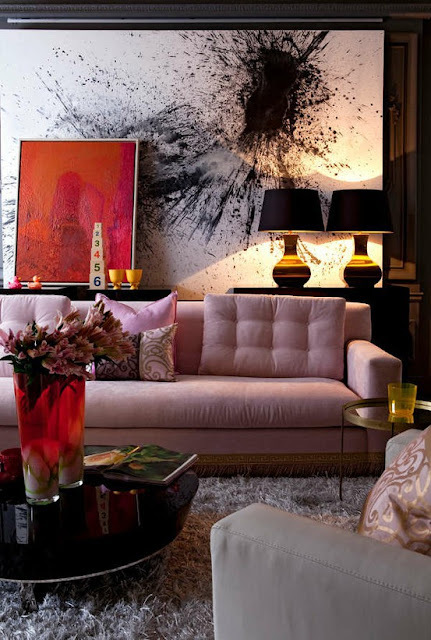 Art can totally transform a room! 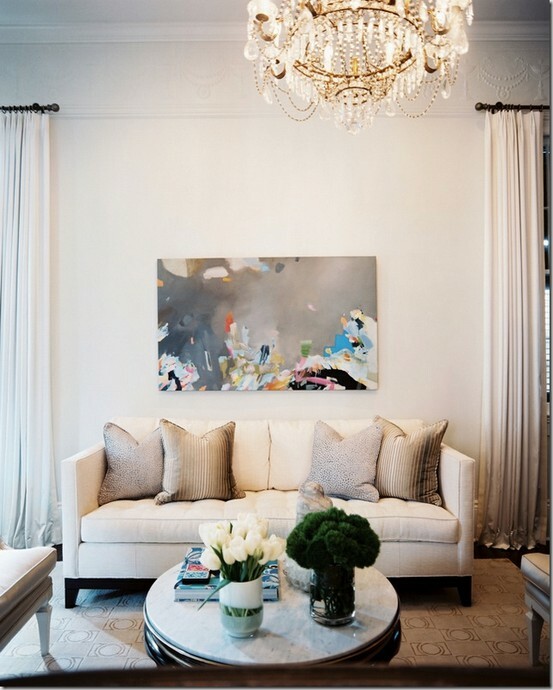 I'm a fan of abstract art and these images are beautiful! 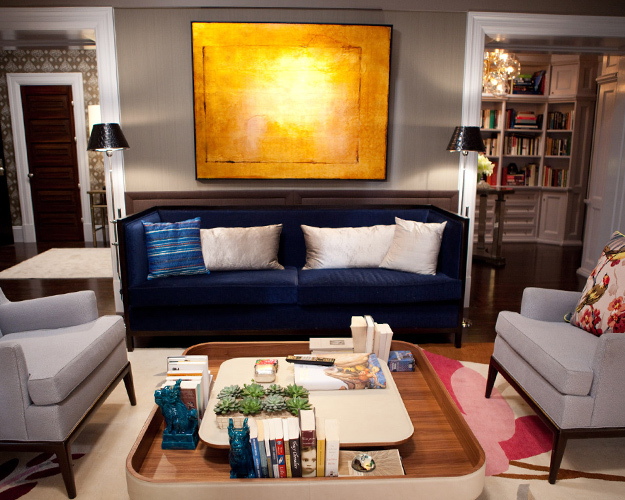 Art and pillows just compete a room. Like icing on a cake! So pretty. I like art in my dining room. moderate to rough. This glass would cost less than $1000 and would be available to almost all the people in Britain.